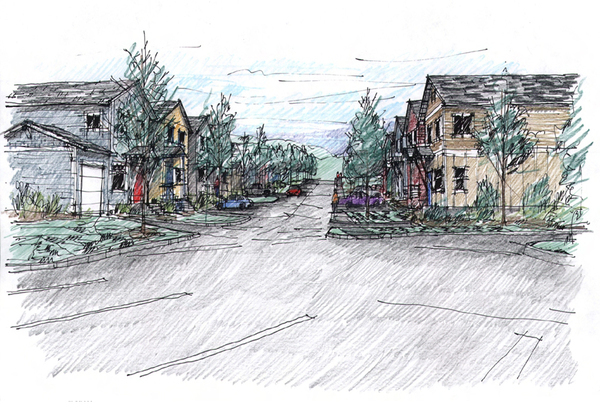 The design goal is to create a new yet traditional neighborhood that takes full advantage of its unique site and surroundings. 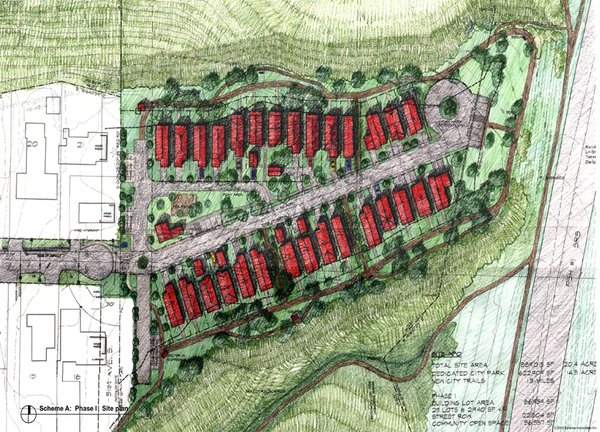 The 29 detached housing units of phase I flank a central street and are surrounded by a pedestrian trail. Individual parking and access will be serviced by a central street that frames the view out to the valley and ends in a public vista point. A central open space located near the entrance will create a small private commons with a community building, mailboxes, a play area and a pea patch. A public trail surrounds the entire development and will connect to a public trail system and an adjacent park. Visitors will park off either side of the entrance and will access the housing units along this public trail. This configuration will allow the houses to have two front doors. 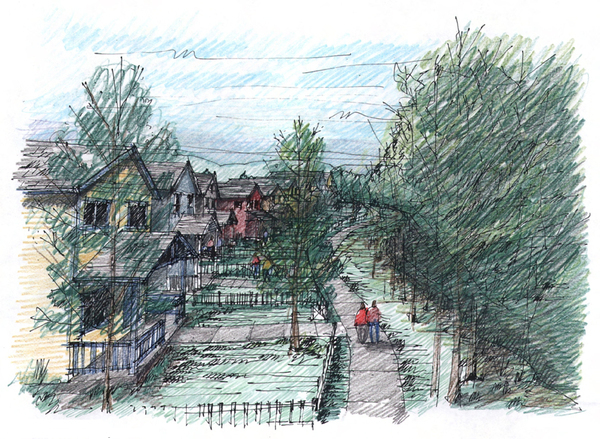 A formal entrance with covered front porches will face the public trail while a more informal private back porch will open out onto the central drive.